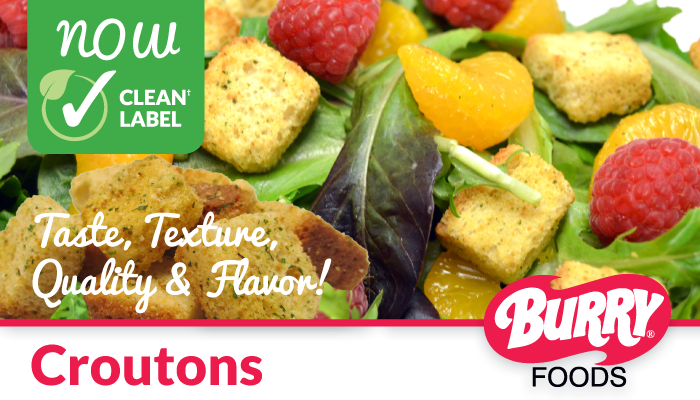 Our full line of Croutons are making the switch to clean label* and feature a variety of flavors, cuts and pack sizes. No ADA, calcium propionate, trans fat, or high fructose corn syrup. Click here to lean more and see a complete listing of our Crouton line.